Do you consider yourself a crime-fighter? Not many landlords have training in law enforcement, but that’s not stopping city officials across the country from holding landlords accountable for disruptive tenants. Recently, a local police chief told his city council that he reluctantly favors such a landlord-focused crime bill simply because nothing else is working when it comes to tamping down neighborhood complaints, mostly centered around student renters. Whether landlords like it or not, there is no avoiding the problem of problem tenants. 1. Screening tenants. A proper tenant background check includes a credit check. Even young renters may have earned a bad track record that proves they lack responsibility. In addition, always check criminal history, which could flag prior disruptive or violent behavior. Always look for previous evictions, one of the clearest indications of a problem renter. Finally, check with previous landlords to get the real story on your applicant. 2. Your lease can protect you from tenants who commit crimes. First, it can lay out the rules so tenants know what they can and can’t do. Advertise your crime-free stance in your rental ads, and also in your leasing office. That may discourage disruptive tenants. It may be possible for the lease to provide an ‘out’ in the event the tenant is involved in any nuisance behavior. You may be able to evict prior to any conviction, and even if there is no citation issued. This clause should be drafted with the advice of a local attorney. Stand firm on crime and nuisance policies so you don’t embolden bad tenants. That way, you can work in close cooperation with the police should there be a problem. 3. Don’t become complacent. Don’t think that once a lease is signed and the tenant is paying rent on time that everything is going well. Routine inspections are an effective way of letting tenants know you are watching and still in charge. In order to quell bad behavior, you need to catch it as soon as it surfaces — and before the neighbors and police are angry with the property owner. 4. Learn to talk to your tenants about disruptive behavior. Waiting until there is a report is not a good option. Practice what you might say in that scenario. Are you willing to offer a warning? Will the strategy work with all tenants? Stay in touch with tenants and nurture the relationship, so when the time comes they will respect your authority. 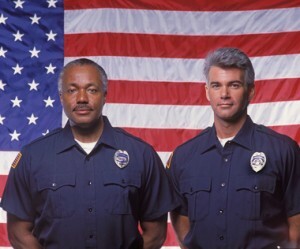 Even if you are not in law enforcement, in the eyes of your tenants you are the law.